Recently, the media, veterinarians, and some clients have expressed concern about the spread of Canine Influenza. 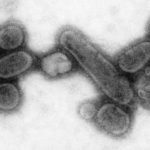 According to multiple sources (CBS46.com, WXIA-TV, Inquisitr.com), from May 15, 2015, the date of the first confirmed Georgia case, until June 1, the original date of this article, there had been only one lone occurrence of H3N2 canine influenza in the state of Georgia. However, since first publishing this article on June 1, there have been additional confirmed cases of canine flu in Georgia, although the number of cases remains relatively small. On June 5, the Georgia Veterinary Medical Association reported that the University of Georgia Veterinary Diagnostic Laboratory detected 6 positive cases of canine influenza, of which 3 have been confirmed as H3N2. On June 12 the AJC reported that Pet Lodge Pet Resort in Alpharetta experienced 3 confirmed cases in boarded dogs. On June 22, Appen Media, publishers of the local Herald newspapers, reported that there was “at least one known case in Alpharetta.” According to WSB, as of June 23 the downtown location of Wag-a-Lot is temporarily closed for a “deep cleaning” after “a number” of dogs came down with canine influenza, although the Decatur Wag-a-Lot location has not experienced issues. In a news report dated June 23, WABE interviewed Dr. Duffy Jones of the very popular Peachtree Hills Animal Hospital. Dr. Jones stated that his clinic has not seen any canine influenza cases. However, he is aware that the disease is in the area and will likely remain present until the end of the summer. On June 29, Steve Dale, a nationally syndicated pet columnist, reported that the University of Georgia Veterinary Diagnostic Laboratory performed 140 lab tests, of which 55 returned positive results for H3N2. Dale also reported that the Atlanta-metro area has not observed an H3N2 related fatality. On July 7, the University of Georgia Veterinary Diagnostic Laboratory reported that they have tested 229 dogs, of which 75 (33%) returned positive results for H3N2. Of the 75 dogs confirmed positive, 45 reside in Fulton County, 8 in Cobb, 7 in Dekalb, 3 in Gwinnett, 2 in Forsyth, and the remainder in outlying counties. The initial positive tests were from Atlanta-metro dogs, whereas a significant percentage of new confirmations are from dogs outside the metro area. Consequently, it appears that the progression has slowed in Atlanta. On July 20, the University of Georgia Veterinary Diagnostic Laboratory tested 293 dogs, of which 88 returned positive results for H3N2. In addition, two other laboratories have confirmed positive cases, which brings the total number of cases in the state of Georgia to slightly over 100. On July 24, the University of Georgia Veterinary Diagnostic Laboratory tested 368 dogs, of which 102 returned positive results for H3N2. The area of infection has spread to 15 counties, although the majority are in metro-Atlanta counties: Fulton (60), Cobb (9), Dekalb (7), Gwinnett (6), Forsyth (4), and Cherokee (4). The new data brings the total number of confirmed cases in the state to 114. QUANTIFYING THE DATA: Despite the increasing number of confirmed cases, we should evaluate the numbers statistically to put them in proper perspective. 10.1 million people reside in the state of Georgia, of which approximately 5.5 million reside in the metro-Atlanta area. The US Census Bureau states that each household contains an average of 2.63 people. Extrapolating the Census statistics, Georgia contains approximately 3.84 million households and the Atlanta-metro area contains approximately 2.1 million households. The American Veterinary Medical Association communicates that 36.5% of American households own at least one dog and that the average dog-owning household includes 1.5 dogs. Therefore, if Atlanta’s dog ownership statistics are in line with those of the entire country, there are approximately 2.1 million dogs residing in the state, of which 1.15 million reside in the metro area. Approximately 79% of the diagnosed canine influenza cases have come from metro Atlanta. Still, given that there are 1.15 million dogs residing in the Atlanta area, the probability of an Atlanta dog having contracted canine influenza is 0.0000782 or less than 8/1000 of 1%! Moreover, given that the duration of the illness is 2 – 3 weeks, the number of dogs exhibiting the illness at any one time is much smaller. If you knew that 114 people in the state had influenza over the last two months, would you quarantine yourself and remain home? Or would you take an educated risk and go to work, school, shopping or wherever knowing that the likelihood of you contacting the disease was minimal? My guess is the latter. You would likely simply move away from people who cough and otherwise not inhibit your daily routine. Likewise, CPT believes that semi-quarantining Atlanta dogs out of fear of them potentially contracting canine influenza is excessive and unwarranted given the statistics. Moreover, during early canine developmental periods, socialization and training is essential to maximize long-term adult outcomes. Consequently, people should take the same educated approach with their dogs that they abide by in their personal travels. Nevertheless, Georgia pet owners and businesses where pets congregate should be aware of potential symptoms. Moreover, relevant businesses should be prepared with appropriate infection control responses for when a potentially flu-stricken dog inadvertently inhabits the premises. The key symptoms of H3N2 canine influenza are a persistent moist cough (or in some cases a dry cough), reduced appetite, lethargy, fever, sneezing, and discharge from the eyes and/or nose. In severe cases, symptoms may include increased respiratory rate, increased respiratory effort, and other symptoms of pneumonia, which may be caused directly by the flu virus or from secondary bacterial infection. Most dogs recover in 2 – 3 weeks. However, puppies, senior dogs, and immune-compromised dogs are more susceptible to severe forms of the illness. Idexx Laboratories developed veterinary test kits to validate a preliminary diagnosis based exclusively on symptoms (“Idexx Launches Canine Influenza Test Targeting“). However, presently no vaccination exists for the H3N2 strain of canine influenza. As a thriving business in the pet industry, CPT is interested in both profitability and the health of our canine clients. Therefore, CPT has instituted the following prophylactic and infection control procedures. 1. All CPT Trainers and staff members have received information informing them regarding the disease and the prominent symptoms. 2. Trainers and staff members are to decline enrollment to prospective group class students, private clients, in-home private clients, boarding clients, and board train clients that exhibit symptoms. Furthermore, trainers and staff members will request that clients remove potentially infected dogs from the CPT building or CPT boarding environments. Similarly, to minimize the risk of carrying contagions to the CPT environment, CPT Trainers will remove themselves from in-home environments that contain a potentially infected dog. 3. CPT will become more stringent in requiring veterinary clearance prior to accepting a dog for group class, boarding, or board training. CPT has always required a veterinary confirmation of health prior to an initial group class enrollment or boarding stay. However, CPT will begin to require more frequent and timely updates of such veterinary approval. Should the disease progress to a more prevalent state, CPT may also require veterinary confirmation of sound health or at least a phone interview with clients to review symptoms prior to commencing private or in-home appointments. 4. If exposed to a dog that exhibits potential symptoms, CPT Trainers will as soon as is reasonably possible wash their hands and wash clothes worn amidst the dog. 5. If a potentially diseased dog enters the CPT Training Center or a CPT boarding environment, upon removal of the dog, CPT will immediately cleanse all contacted areas and equipment with either a diluted bleach or a quaternary ammonium (Lysol IC) solution. 6. Should a potentially infected dog enter a CPT group class or boarding habitat, CPT will promptly notify owners of dogs that came in contact with the infected dog, so that they can appropriately monitor their dogs for symptoms. Similarly, CPT will request that the owners inform CPT should their dog exhibit signs of illness. 7. CPT will require veterinary clearance for any potentially diseased dog to obtain readmission to a CPT training or boarding program. In summary, although canine influenza was a legitimate concern in Illinois, to date the disease has been short of epidemic proportions in Georgia. Yet, there are an increasing number of Georgia cases since the first infected dog was identified on May 15. Therefore, pet owners should be aware of symptoms and should isolate their dogs and then seek veterinary attention should symptoms appear. However, there is a difference between exercising reasonable caution and irrational fear. Consequently, when evaluating the data logically, we concur with the opinion of the American Veterinary Medical Association that pet owners should not curtail enrolling non-symptomatic dogs in training, boarding, or day care facilities, provided thorough infection control procedures are in place. Fortunately, CPT personnel are prepared with infection control protocols that protect the health and safety of our canine clients.